When you were younger, what did you want to be when you grow up? But the thing is, your 9-year-old self probably didn’t realize how hard it is to save for this first house. And now that the time has finally come (!! ), chances are it’s more daunting than you thought. It’s no help that headlines are calling out millennials for struggling to buy homes. But the truth is, millennials aren’t the only ones – every human wrestles with the idea of saving for a big purchase far down the line. Why? As humans, we’re not very good at prioritizing our future selves. “If given the opportunity to spend a thousand dollars now or wait until it grows larger in the future, most people will choose to spend that money now,” said Garrett Meccariello, a behavioral scientist. 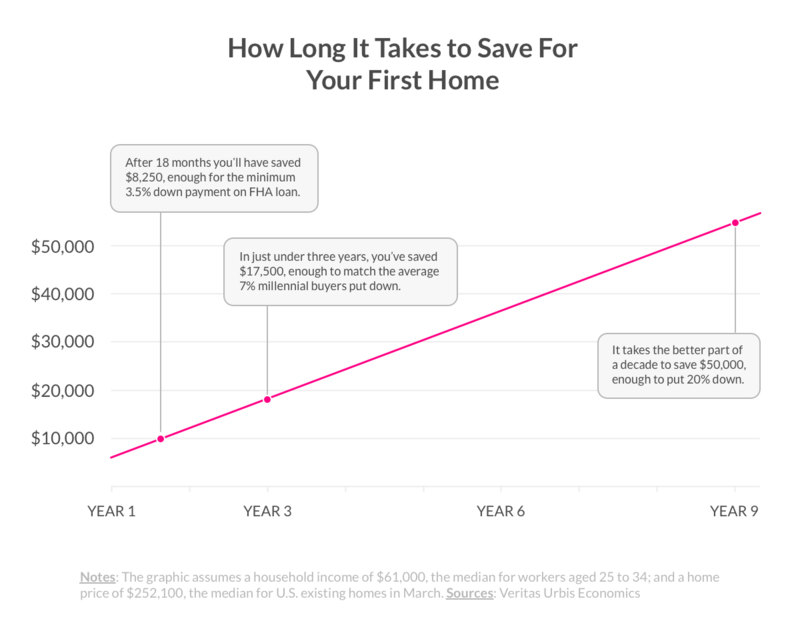 To get to the bottom of how to save for your first house, we met with experts: graduates of UPenn’s Behavioral and Decision Sciences Masters Program (MBDS). They spent a year studying how to apply behavioral sciences to improve the lives of others. Here are 5 hacks for saving up for your first home, sourced from the experts. Truth is, it’s hard to save without a concrete goal in mind. In fact, studies show that if you have a savings goal without a concrete vision, it’ll soon become wishful thinking. 1. 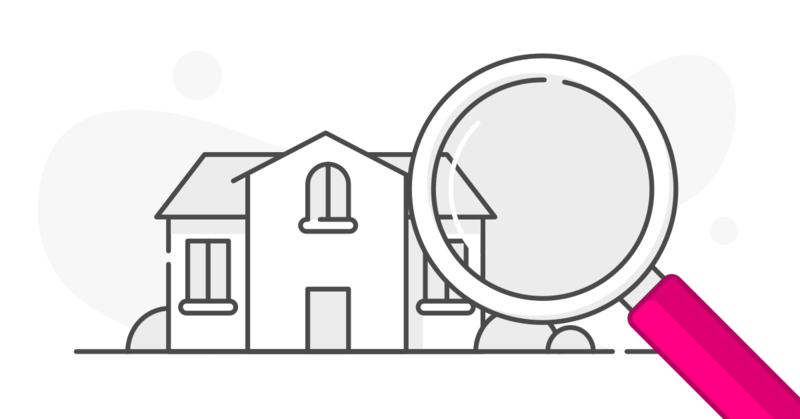 Research the average price of a home in your dream neighborhood, and take 20% of that number. This is your hypothetical down payment. 2. Decide roughly when you’d like to sign the dotted line. Is it 12, 24, or 34 months from now? Divide your down payment by that number. 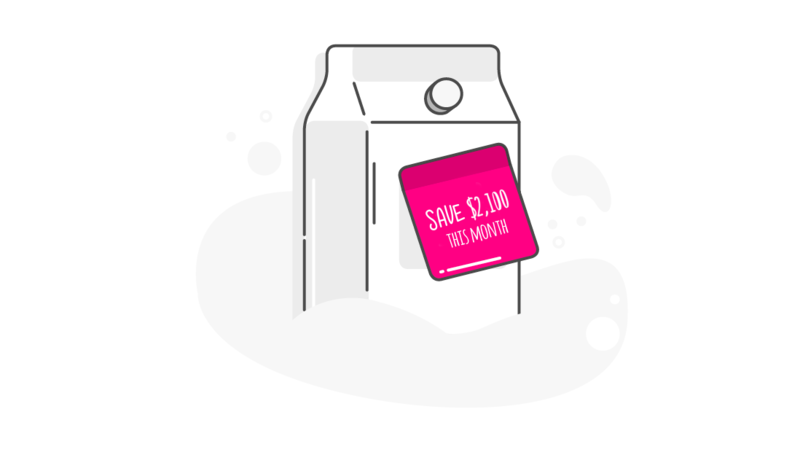 So write your monthly savings goals down on a few post-its, and place them wherever you feel comfortable: on your laptop, bathroom mirror, front door, or even on your milk carton! You’ll see instant results. Behavioral economics 101: People only save money when it’s automatic. Science shows that many of us would rather splurge on a sushi dinner than save that money for the future. Her suggestion is backed by research. In a study, one group of people deposited their money in ‘commitment accounts,’ while the other group spent their money freely. The first group ended up with considerably more savings than the second. The trick here is to allocate a flat percentage (10%, 15%, or 20%) of your salary to your savings account the day you get your salary, rather than at the end of the month. Why? If you spend first and save second, you might run out of money before you have the chance to save. Follow this habit to a tee, and you could have enough for your down payment in less than 2 years, according to Veritas Urbis Economics. Being realistic here, it’s difficult (and even unproductive) to tell yourself, ‘I’m going to cut back on my spending.’ Remember what we said about needing a concrete goal? That applies to spending, also. “If you need to cut back on your lifestyle, we find that in general, it’s easier for people to just cut things off as a category,” our Chief Behavioral Officer Dan Ariely told us. If you tell yourself you’ll stop spending money on a single category, it’ll eliminate your need to choose on a daily basis. The decision will have already been made for you. “Rather than allow yourself to shop unnecessarily, you should stop that behavior before it happens,” advised Garrett. So what should you cut back on? The best approach is to understand which activity you can give up without impacting your happiness. Is it shoe shopping, going out to dinner, or taking Lyfts? To figure it out, take a look at your most recent bank statement, and rate your purchases on a scale of 1 to 10 (1 being, ‘I wish I never bought this,’ and 10 being ‘best purchase I made all year!’). Sort your purchases into categories, and determine which category led to the highest amount of regret. That’s your sweet spot of where you can stop spending, without compromising your lifestyle. Ever heard the phrase, out of sight, out of mind? Well, the opposite also applies. If you keep your long-term goals in sight, they’ll stay top-of-mind. Do I want a standalone house, or neighbors in my building? Do I want to drive, ride the train, or walk most of the time? This low-effort hack will make it much easier to stick to your saving goals. All it’ll take is some simple Google image searching to find a photo that resembles the house of your dreams. Have you ever looked at an Instagram photo of someone vacationing in Florida, and suddenly developed a craving to hop on a plane? Or swiped through stories of a fantastic restaurant, and proceeded to check their availability on Resy? Turns out, there’s some science behind that. What you see on your Instagram feed can determine your desires, and even alter your behavior. So pinpoint what gets your heart racing when you think about your future home: interior design, gardening, etc. Then, follow Instagram accounts or hashtags that’ll get those types of images on your feed. You’ll be itching to reap the benefits of your new home ASAP, which will motivate you to save. 1. Calculate how much you need to save each month, write that number on post-its, and stick them them everywhere.